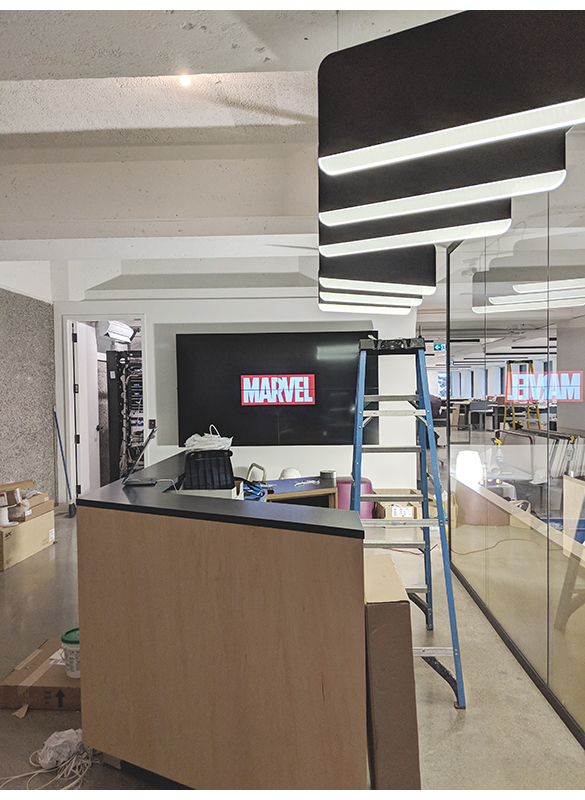 Mega Marvel Mural just got installed in a gaming company in Coal Harbour. Written by Carson Ting. Posted on August 30, 2018. 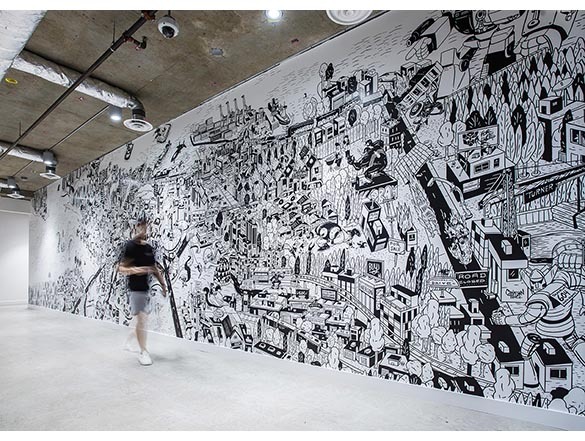 Filed under Drawings, Murals. Tagged marvel, mural, perkins + will. 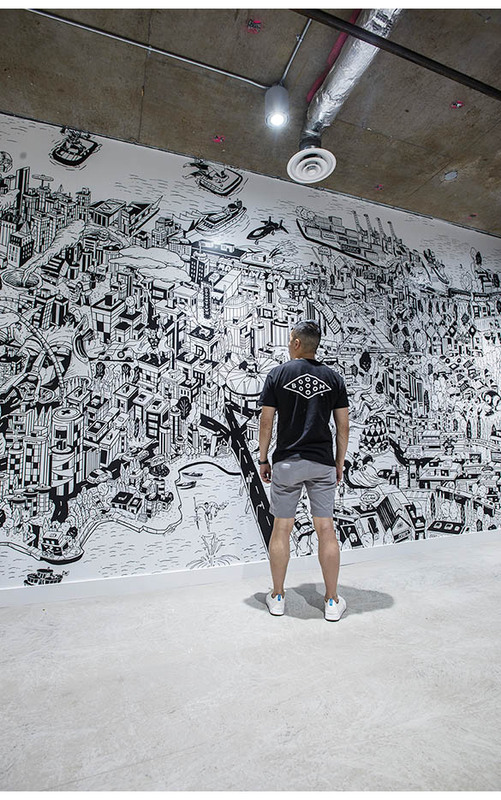 Comments Off on Mega Marvel Mural just got installed in a gaming company in Coal Harbour.. 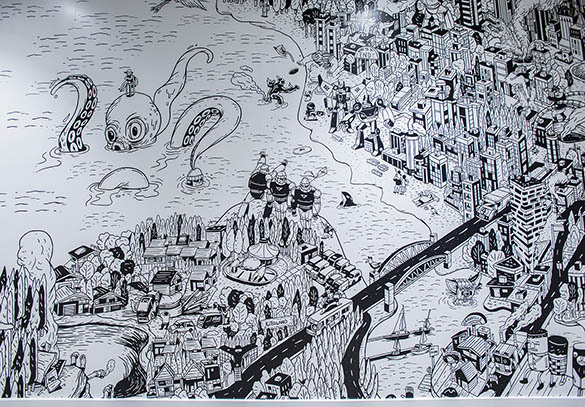 I absolutely loved how my mega (40’ x 11’) Marvel mural turned out at last night’s install in Coal Harbour. 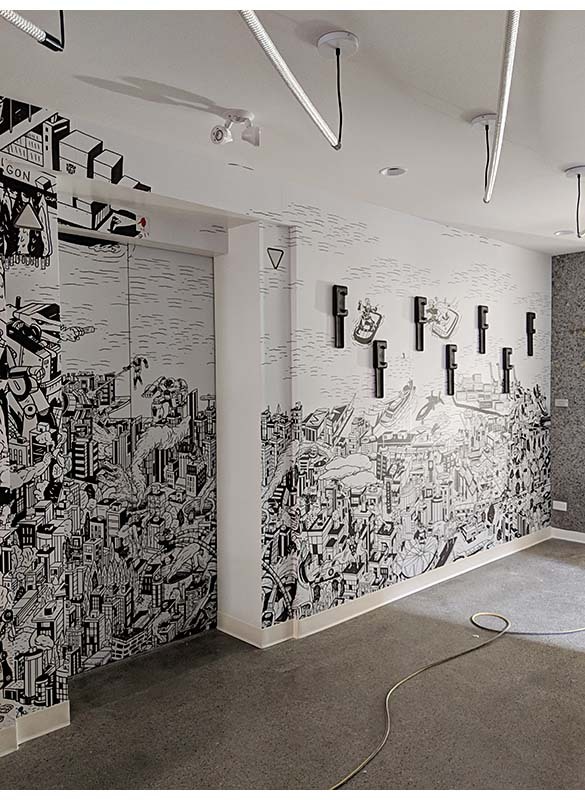 The mural is for a gaming company’s second HQ that I’m not allowed to disclose but it was in collaboration with the talented senior interior designer Kimberly Baba from Perkins + Will. 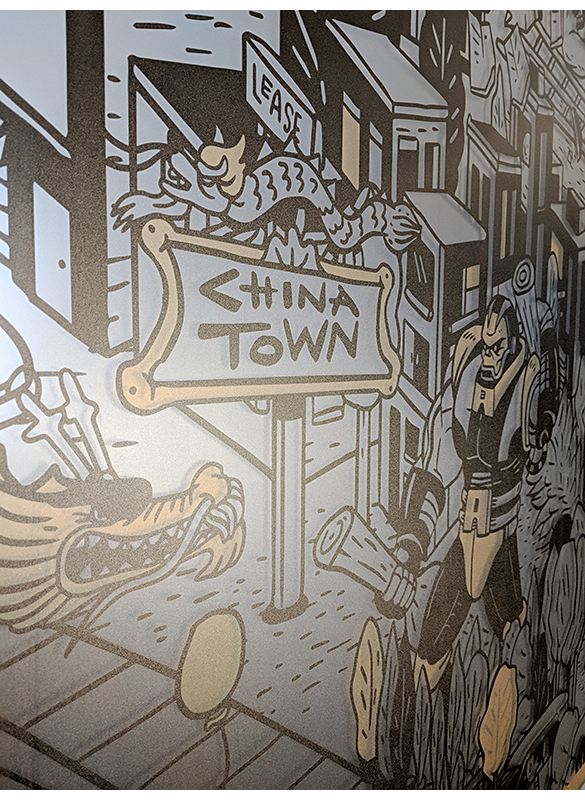 This mural is actually an accurate illustrated map of Vancouver but jam-packed with Marvel and Transformer characters wrecking havoc in the city. This was an absolute dream project. You’ll need to see it in person to see every bit of detail. There are also a ton of hidden easter eggs that I can’t even keep track myself. 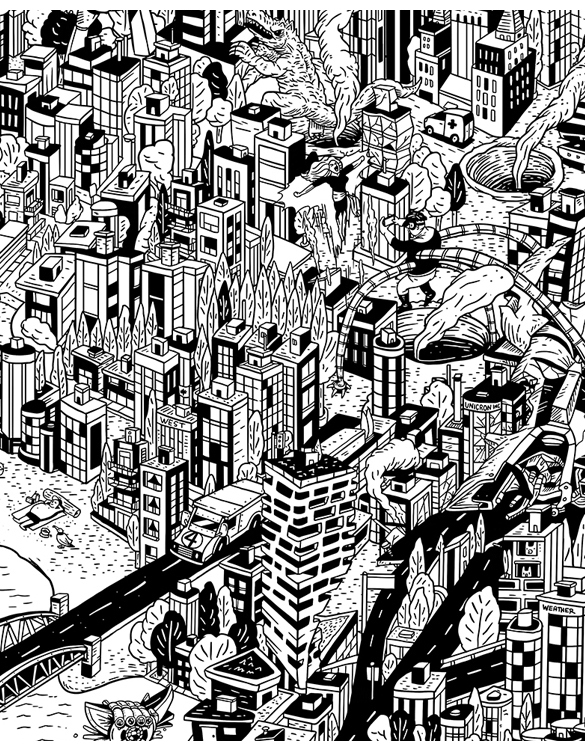 And even at this size, a large portion of the illustration is still cropped in the north where you would have seen the Lion’s Gate bridge and the sea bus. Also pictured is my favourite Boooooom teeeeeee and my shamelessly sponsored Native AP Moc sneakers. PVC free vinyl print and installation by North Side Signs. Bigger and larger photos can be seen here on our Flickr page. Or follow us on the gram. Putting on a macro lens on Vancouver with a Marvel and Transformers lens. Written by Carson Ting. Posted on June 19, 2018. Filed under Murals. Tagged illustration, map, marvel, perkins + will, transformers, vancouver. Comments Off on Putting on a macro lens on Vancouver with a Marvel and Transformers lens.. 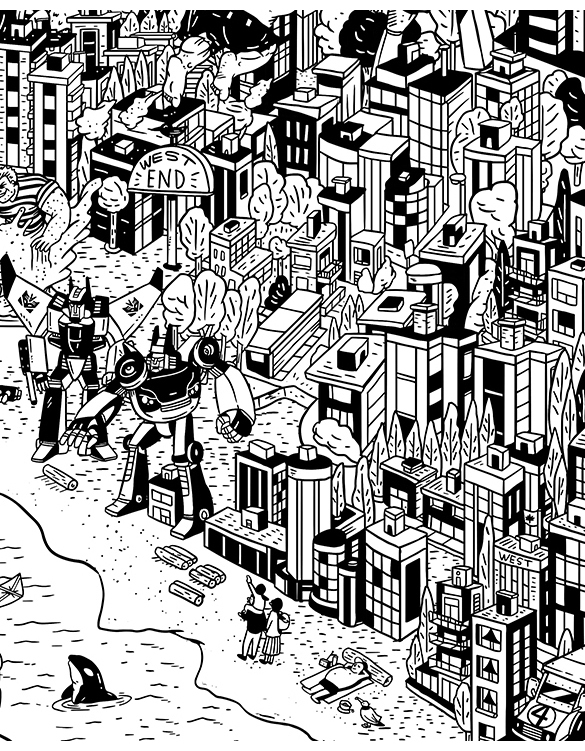 Sharing a small portion of this mega map of Vancouver done for a gaming company (which we’re not allowed to disclose since we signed an NDA) in collaboration with the talented senior interior Kimberly Baba from Perkins + Will. 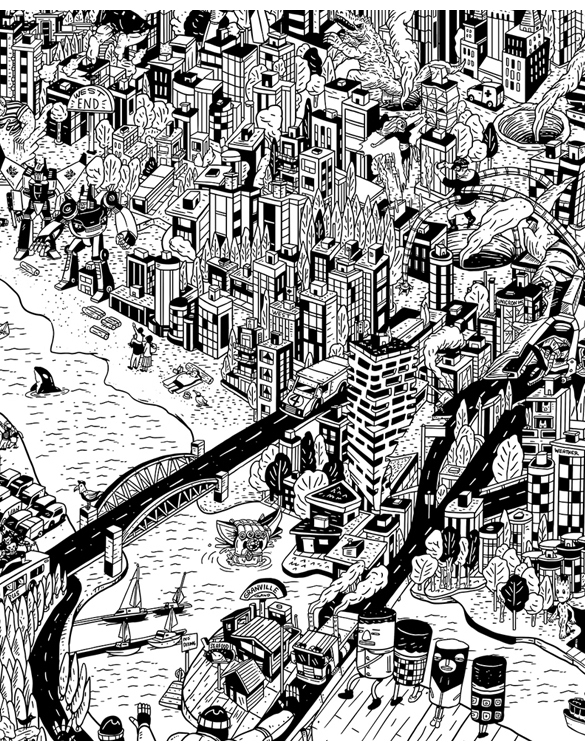 This is the most detailed and intense map we’ve ever created to date. 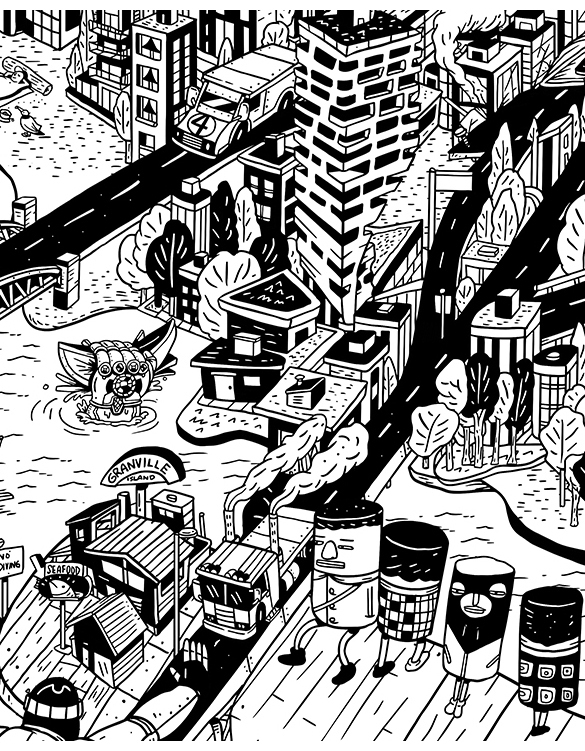 The map is too big to show the entire piece here but we’ll be posting sections of it from time to time on our blog and eventually on our main portfolio site. Day 2 of our big mural project installation in downtown Vancouver. Written by Carson Ting. Posted on June 3, 2018. 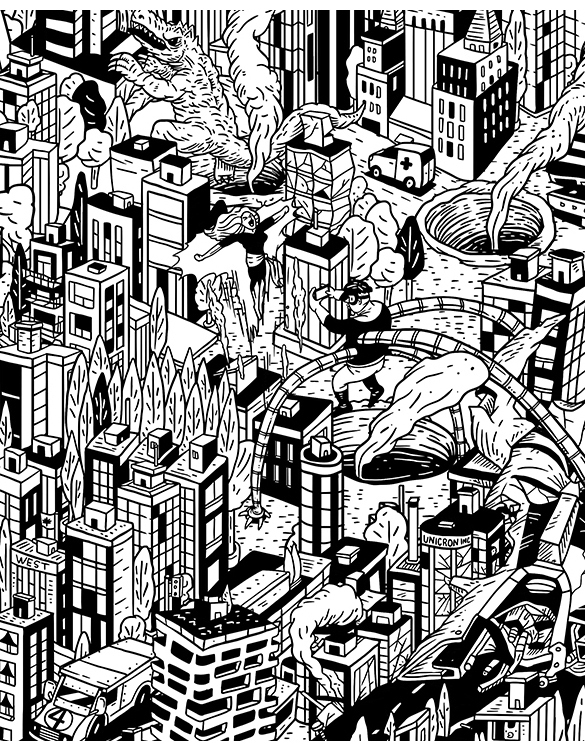 Filed under Drawings, Design, Blogging, Murals. 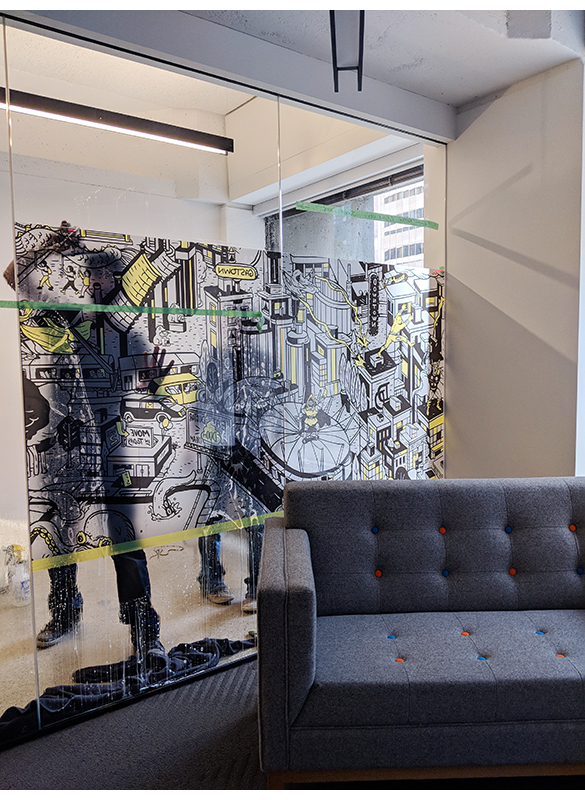 Tagged mural, mural project, northside signs, office art, perkins + will, turner construction. Comments Off on Day 2 of our big mural project installation in downtown Vancouver.. 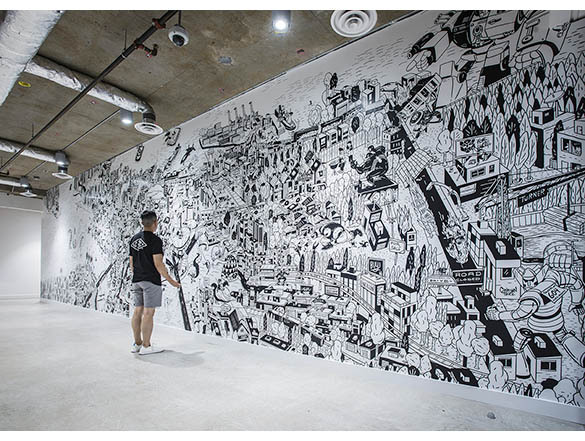 Here are more photos from the mural install on Saturday. Everything is going as planned. Crazy excited to see everything come together. Stay tuned for more. Follow our Instagram for quicker updates. Illustration and art by yours truly. Vinyl print and install by Northside Sign.